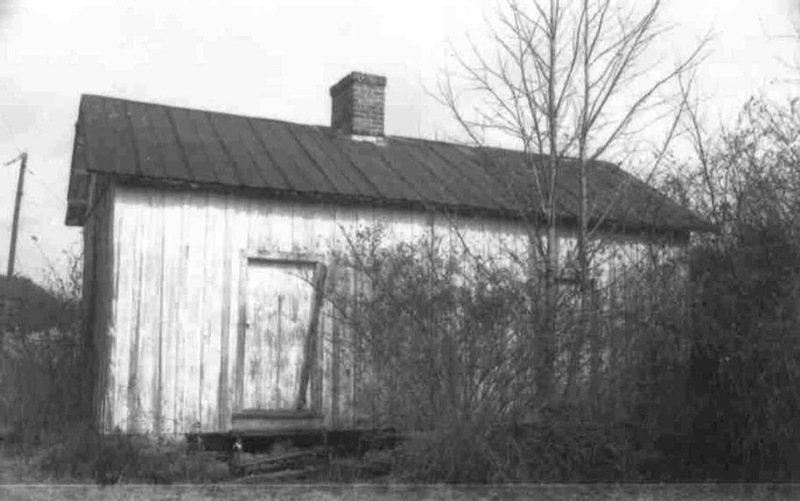 When Captain Addison Mangum, a cousin of United States Senator Willie P. Mangum, took over operations of the Flat River Post Office, he moved it in 1858 to this one-story two-room structure on his farm. There the post office and Mangum’s law office shared quarters with one room reportedly allocated to each purpose. The small frame building is constructed over fieldstone piers, covered by vertical board and batten siding, and capped by a metal roof. Each room has its own exterior batten door, but the two share a central chimney and have back-to- back fireboxes with post-and-lintel mantels that have been refitted for stoves. The room thought to have been Mangum’s law office is plastered and accented with molded baseboards while the post office is finished with frame sheathing and shelving. Minimal Greek Revival detailing includes six-over-six windows and interior door frames accented by small corner blocks.